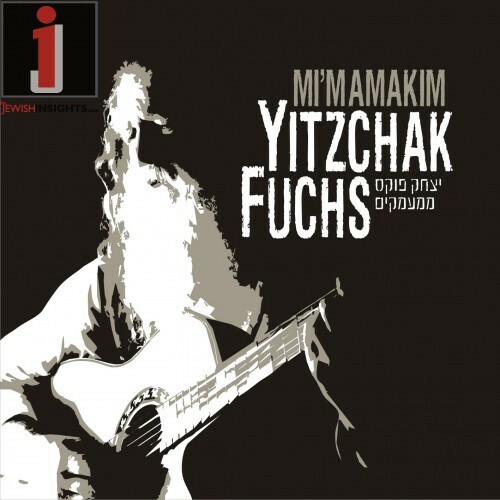 The new album from Yitzchak Fuchs is FINALLY here. It’s been four years since Yitzchak released his last album, Shirin Verachshin. Since then, Fuchs moved to NY and made a name for himself performing almost every week at simchas, events and Kumzitzim. With this new album entitled “Mimamakim”, Yitzchak wanted to go all out. The album will feature 12 all new compositions including some hits that we have already come to know and love like; Nigun Shimshon featuring Hamizamrim, Mimamakim (the title track) and Ben Chamesh, which was performed earlier this year at the RCCS event Miracles Thru Music and got rave review from the thousands of listeners/viewers worldwide. Also featured on the album will be Menucha VeSimcha, which was just featured on MBD’s Kissufim album. The version on the new album will sound very different and raw, just Yitzchak with a guitar, bringing out the hartz of the song. The arrangements were done by Gadi Pugatch and Ruli Ezrachi. While almost all the songs were composed while living in Eretz Yisroel, Yitzchak didn’t perform them until her was in the US making the United States, especially NY, very special to him. This Adar, whether you are shopping for Purim or Pesach, make sure to grab a copy of Mimamakim from Yitzchak Fuchs and add it to your cart. The album will be distributed by Nigun Music and is available for download NOW on TopJewishMusic.com and in stores later today. In honor of the release of his new album Yitzchak is releasing a music video for the title track “Mi’mamakim”. Filmed in just 48 HOURS, this masterful music video created by Meir Haltovsky will take your breath away. If the cinematography doesn’t, then at least the voice and music of Yitzchak Fuchs will. This video, shot in numerous locations in the Tri-state area including; Battery Park City, South Street Seaport, Time Square NYC, Monsey, Bear Mountains State Park, Monroe, NY and New City depicts the depth of the meaning of the words Dovid Hamelech wrote thousands of years ago.